Goodreads' summary: Fifteen-year-old Izzy Brannick was trained to fight monsters. For centuries, her family has hunted magical creatures. But when Izzy’s older sister vanishes without a trace while on a job, Izzy's mom decides they need to take a break. 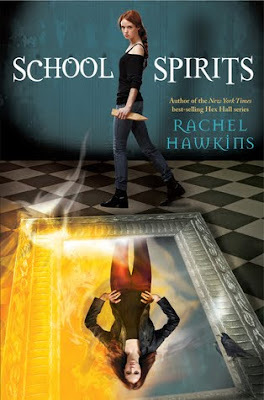 Rachel Hawkins' delightful spin-off brings the same wit and charm as the New York Times best-selling Hex Hall series. Get ready for more magic, mystery and romance! Can't wait for this either! Still must finish her first trilogy though! Soooo behind on everything apparently! Love the cover! I'm a fan of the Hex Hall series and if I'm not mistaken this is a spin-off of the series so I would love to read the book when it comes out. Sounds pretty interesting too... Great pick! I hope you enjoy reading it. I haven't read the Hex Hall series, but this sounds really good. I like that it's a spin off so I don't necessarily have to read the Hex Hall series, but I definitely want to read it first. Great pick! Day late but hell yeah I'm dying to get my hands on this one too!!!!!!! So excited for this one-I love Hawkins' writing style and I am ready to return to this world! I was just thinking I needed to find more people who are obsessed with the same genres of books that I am. 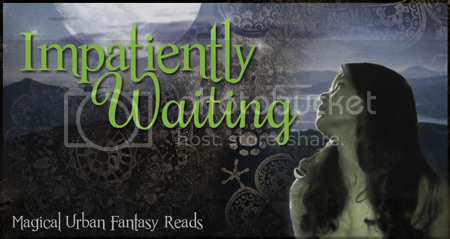 Urban fantasy, paranormal and all those lovely shifters FTW! Most excellent choice of WoW. Definitely loved that series & am interested in the spin-off. I'm in love with the Hex Hall trilogy. I JUST finished reading Spell Bound. What a great ending to a wonderful story! Can't wait for School Spirits to come out. :) Happy Reading, everyone!